At the end of each month we will be revealing the answers to each of the riddles in our 2019 calendar. Look below to find out if you were right. APRIL Three lives have I. Gentle enough to soothe the skin. but no water. I have roads but no cars. OCTOBER What makes a loud noise when changing its jacket. NOVEMBER I am always hungry, I must always be fed. DECEMBER I come in winter. I cannot see, hear, or feel. Please take note of the arrangements detailed below. This is a timely reminder to all our clients about our Christmas and New Year activities. Please place your orders with us in good time to receive your products before Christmas. Remember our European suppliers will ship their last deliveries in WEEK 51. Last orders will be shipped on the 20th December by UPS ONLY. During our closure, we will be monitoring emails and answerphone messages. 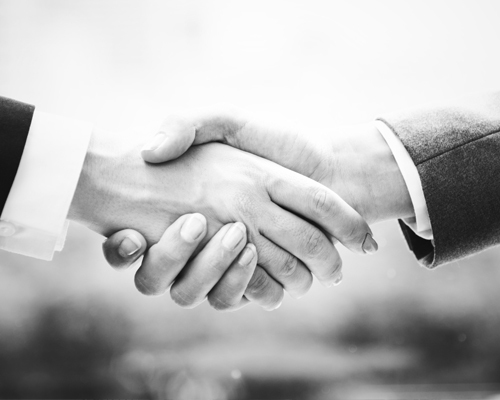 If, however you have an urgent requirement that cannot wait, then please call us on 07919 004134 and we will do our best to help you. so if you need anything for when we return to work then please let us know as soon as possible. New to our FLO-Tool range is the Torque Spanner for ER Collet Nuts. Available for ER8 up to ER32 Collet Clamping Nuts. Click here for more detailed infomation. We will be attending the Citizen and Star Open Houses this year. For more details on these events please read below. The new Colibri Slim Jet solution for increasing spindle speed of driven tool units was extremely popular as well. This brand new high-speed coolant driven spindle is powered by 20 bar of coolant pressure that generates a spindle speed above 20,000rpm. The speed, torque output and other performance parameters can be constantly monitored via any mobile device with Bluetooth connectivity. Replaces the standard F37 collet in your CNC spindle and also available for machines using collet types F25 (145E), F20 (138E), and 5C. Concentricity guaranteed to be with in 5µm (0.0002”) in production use. Enables you to move more work to the sub spindle operations and reduced cycle time. 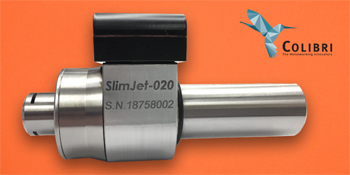 The original SWISS-MADE stainless steel adjustable and lockable coolant nozzle system. Stable & reliable flow of coolant for oil or air. This includes standard applications of up to 50 bar pressure, with optional components to go 100 bar plus. A permanent replacement for traditional plastic systems. Solve you high pressure coolant connection with the Miniplug 1. Achieve pressures of up to 200 bar with high-quality braided steel hoses made entirely from stainless steel. Various connecting threads suitable distributor blocks and system accessories. 24-48 hrs In-House collet resizing service available for F-Type collets. Specialist in guide bush technology, extended length carbide bushes, JBS & Schlenker SDK adaptive guide bushes. 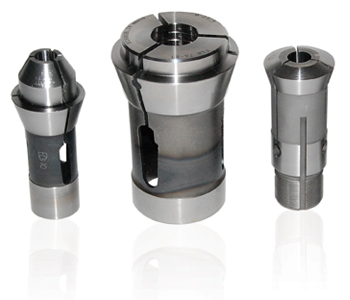 We offer special collet applications, over-shoulder clamping, internal clamping, extended nose collets. Pinned, threaded and turbo bar feed grippers for LNS, FMB, IEMCA and most makes of bar feeder. Most sizes available ex-stock at our facility in Hertfordshire. This tungsten carbide shaft endmill with integrated cooling is new and unique in it's design and available in standard endmill sizes from 1 to 6 mm (.039” to .236”). This innovative tool can “drill” vertically into material up to 1 x d and then move sideways to mill slots and pockets into solid material. Hence operations like feather key-milling can be executed rapidly and processed safely in smallest spaces. NEW products are now available, visit our website for the catalogue here. From time to time we have important information we think you might want to know. We use different outlets for our news and updates, but sometimes it's nice to get it directly sent to you in a timely manner. So, we'd like to introduce you to our mailing list! We have two types of newsletters you can subscribe to and its up to you which ones you'd like to receive. There are no restriction or limits, and you can change your mind at any time. Here we offer you an insight into the products we have on offer and the newest tools coming to the market. It’s a great way to stay in the know. We also attend exhibitions and events that you might have an interest in. Getting all this information directly to you makes it an easier and convenient way to receive the latest news. Now and again we need to inform you about important things we are doing. For example, we may need to let you know about office closures, Christmas agendas and supplier activities that could impact your day to day trading. We want to deliver this information to you directly, so that your business can continue running without problems. You can unsubscribe and change your preferences at any time. We provide links on every email we send out to our mailing list. Thank you for visiting us at MACH 2018! We had an amazing time at this years MACH exhibition, we hope you did as well. We're so grateful to those who came and made the show such a success. Here are some of the show highlights just for you. If you made an enquiry with a member of the staff, someone will be in touch soon. Please bear with us. We had a huge level of interest in the new Masa Microconic Sub-Spindle Collets. Precise and stable clamping of small workpieces in the sub-spindles has long been an issue for turned part manufacturers; it has now been solved by the revolutionary precision workholding system. 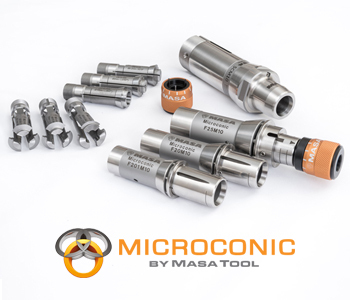 For manufacturers of high-precision parts in the connector, medical and electronics sector, the Microconic over-grip collet system was a great find. The new Colibri Slim Jet solution for increasing spindle speed of driven tool units was extremely popular as well. This brand new high-speed coolant driven spindle is powered by 20bar of coolant pressure that generates a spindle speed above 20,000rpm. The speed, torque output and other performance parameters can be constantly monitored via any mobile device with Bluetooth connectivity. 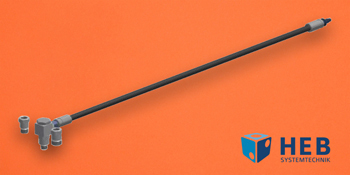 The Zeus Burnishing Tool from Hommel + Keller is an all-rounder for all classical applications for burnishing surfaces. It's suitable for small geometry work on materials such as steel and high-strength materials and the Series is available with two variants. 510 Series of fixed head tools for standard operations or the 520 Series with a variably adjustable head for end faces and conical surfaces. We understand that at this year MACH 2018 exhibition some of you registered interest in receiving information from our POKENS. This was a new technology for us and our visitors, so we understand that not everyone will be switched on with what to do next. Poken is a cloud-based event management platform, that creates richer engagement. Trade show exhibitors load their marketing documents or any other relevant content, into ‘Touchpoints’. Poken’s Touchpoint sensors are completely autonomous, and easily placed by the show organiser or by exhibitors themselves, anywhere in their booth, or elsewhere around the venue. Every time a visitor collects this information, they leave a digital business card. The exhibitor has the details of everyone who has dropped by there booth and collected their information, as well as a useful analytics. If you're unsure on how to access your data, please follow this link and log in with your details. This will allow you to view the information we have provided. We have provided links withing this article, please click the links below. You will find all the information on each tooling sections from MACH 2018 exhibition. For more information please call our sales team 01462 491919. We'll be there all week, come and see our full range of precision tooling on stand H20-620. 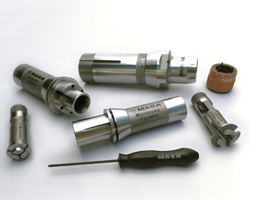 For more information on MACH visit their website..
With our roots set firmly in small turned part production, turning tools are one of our principal products with the Applitec Swiss Tooling range being our primary program. Offering a complete solution for modern CNC sliding head and fixed head machines, Applitec offers a broad range of standard tools that are readily available. Including the best selling insert program TOP-Line. ECO-Line, ISO-Line, CUT-Line and new PRO-Line are all available with through coolant holders. The new IN-Line system offers small boring tools from Ø0.3mm. Not all turning can be achieved with standard tools due to complexity or in the pursuit of productivity. 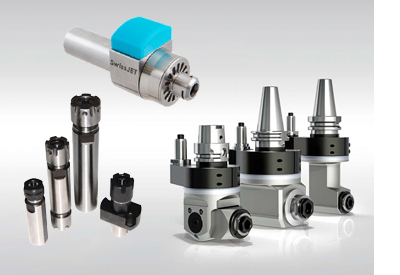 Schwanog, the renowned German tool company, can supply productivity gains with their range of form tools which include external and internal form tools, thread whirling and milling, polygon tooling and Multi-Spindle tools. Mikron Tool based in Agno Switzerlandprovide equally high performance end milling tool solutions like the CrazyMill Cool Ball, an innovative ball end-mill from Mikron Tool developed for the roughing and finishing of stainless steels, pure titanium and titanium alloys, Cr-Co alloys and super alloys. Patented with a very efficient integrated coolant supply it reaches the highest cutting speeds and guarantees a high chip removal rate. Modern CNC machines now have complex multi-axis capability, requiring not just turning solutions, but milling too. To meet these demands we offer a range of milling and slotting tools from the Swiss company Alesa. Their Nutex ranges of HSS and Carbide slotting tools have dramatically improved reliability and performance. 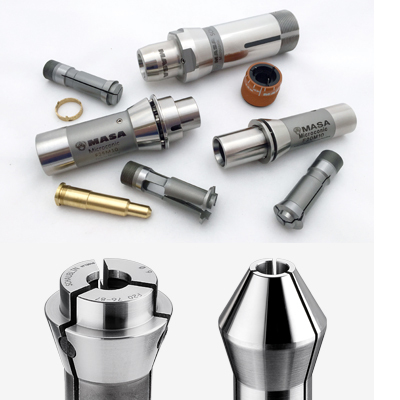 Their core product however remains the Twist, and recently introduced Delta Milling Cutters. Combined with the proven AlCrN-VA coating, the high positive-ground cutting edges offer reduced cutting forces, very long tool life and high process stability. Alesa also manufacture HSS milling inserts for applications where carbide just can’t cut it. The ever popular Applitec CIRCO-Line range of Carbide saws and arbors are a mainstay of our range of slitting saw products. With fine, extra fine & coarse tooth saws available from stock. There are many different options for thread production and we can offer options from simple threading inserts to thread whirling and milling tools. A popular and fast solution for the production of external threads up to M8 is the Habegger thread rolling die made in Switzerland. It has been around for many years, but this simple roll-on/roll-off solution remains effective to this day. For larger applications, we have Wagner axial heads and tangential attachments for thread rolling as well as axial cutting heads. Knurling is often considered to be a bit of black art when it comes to production machining. German based precision tool manufacturers, Hommel & Keller, have many years of experience with their range of ZEUS Form and Cut knurling tools that we offer along with our technical support. In addition, they also supply the ZEUS range of roll marking tools ideally suited to production applications where traceability and part marking are required. Both external and internal broaching solutions are available from our FLO-Tool range of accessories for sliding head and fixed machines. 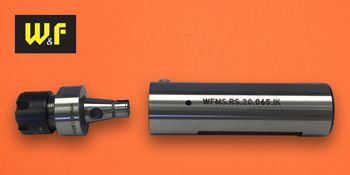 Classic wobble broaching heads and static broaches are available. As a specialist form tool manufacturer, Schwanog can supply a very accurate solution to external splines using a serration form tool. Mikron Tool is probably better known for their CrazyDrill products. 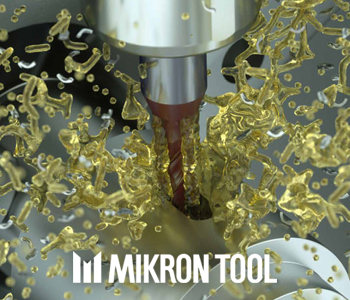 These tools were developed by Mikron initially to support their own range of high volume production machines, but soon realised that the ‘crazy’ performance and machining parameters would have a place in the market. With a wide range of tools for piloting, centring, deep hole drilling and chamfering. 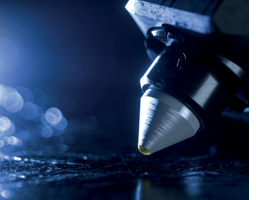 Applitec also offer an extensive range of precision Carbide drills in their MICRO-Line range at very competitive prices. Such high precision machine machinery also requires good setting techniques. To assist in setting of these precision drilling applications quickly, we have the MOWIDEC ‘Smart’ Centring system. This simple but very useful solution uses a contactless proximity probe to assist with offset adjustments. We recently introduced the MASA Microconic Sub-Spindle collet system for sliding head machines. 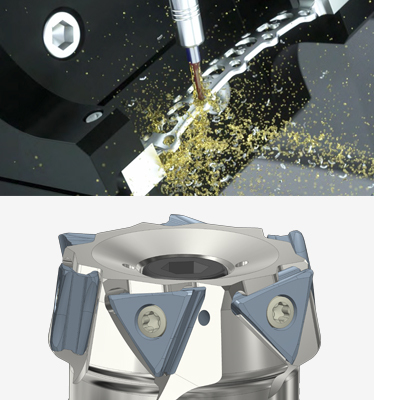 This new system overcomes the problems of precision part pick up and ‘over the shoulder’ clamping applications. 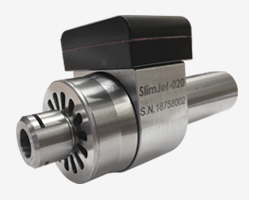 Using a Patented cartridge and special collet that fits directly into the sub-spindle, the Microconic collets maintain a repeatable accuracy of 5 microns. Targeted at smaller parts up to Ø10mm, and currently available for machines using collet types F25 (145E), F20 (138E), and 5C. The developers, MASA Tool Inc. are currently working on further versions to enhance their range. Collets, guide bushes and bar feed collets are the basic ingredients for a sliding head machine, and we offer a wide variety of solutions depending on your equirements. 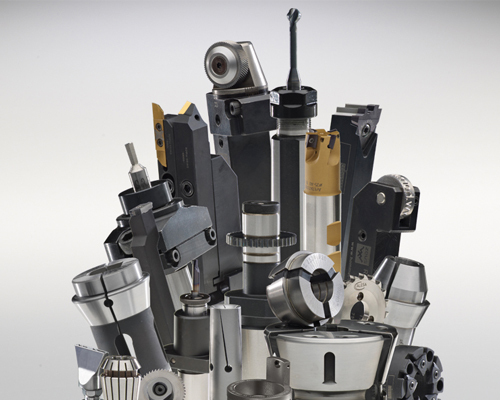 We carry a full inventory of competitively priced products and provide an in-house collet re-sizing service. We supply the Schaublin range of precision collets and spindle tooling. The Swiss precision collet manufacturer specialises in work holding for cylindrical tool grinding machines, where the SRS system has been specifically developed to allow collets to be adjusted to better than 5 microns! On new CNC Sliding head machines there are many new configurations for static and driven tools. So, when it comes to finding the additional accessories, there is a lot more to these machines than just a few collet holders! 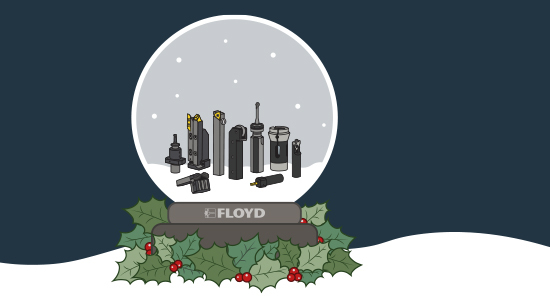 Within our own FLO-Tool range, we have all types of ER collet holders, tap holders, reamer holders and back working holders to suit most machine types. Madaula SA provides us with a comprehensive range of driven tools for both standard and special applications with speeders, reducers and angle heads. Colibri Spindles provide an alternative high speed solution using High Pressure Coolant. 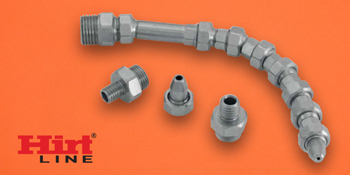 Naturally, with the increased number of machines fitted with High Pressure coolant, we have options there too using our HEB Quick Change High Pressure Coolant Connectors and HIRT-Line stainless steel lockable coolant hoses. Drill deeper, mill faster with the new eXedur SNP Coating developed for the machining of stainless steels, heat resistant alloys (nickel based) & chrome-cobalt alloys. Coming in 2018 is the CrazyMill Cool (Plunge & Slot)! Which has the new eXedur SNP Coating (increased heat/wear resistance, optimum chip flush), special Edge Geometry (for stable & vibration free ‘drilling’), 1xD plunge & slot capabilities and PATENTED integrated cooling (maximal cooling & chip removal).